Don’t know your rotor from your motor? Simon de Burton introduces a beginner’s guide to buying the perfect helicopter for your superyacht helicopter deck. The paradox of modern motoring is that cars are faster and more reliable than they were 30 years ago, yet it takes far longer to drive from A to B because of the ever-increasing volume of road traffic. Which is annoying when you’ve just enjoyed a trouble-free cruise and dropped anchor near a favourite port, only to find that it’s going to take hours to travel a few miles inland for a spot of lunch. That’s one very good reason why you need a helicopter on board. But what needs to be considered before taking the plunge with your first heli? The first question to ask yourself is whether you intend to fly or be flown. For the former, you’ll need a Private Pilot Licence (PPL), with an (H) suffix, for helicopter. Starting from scratch, this will require a minimum of 45 flight training hours, 10 of which must be flown solo. Also to be considered are the taxing theoretical exams in everything from navigation to meteorology, aviation law and even “human performance”. If you go down the chauffeur route, a trained commercial pilot can be hired at a cost of about £350 per day, plus expenses. As far as your choice of chopper is concerned, that’s down to whether you choose a piston-engine machine or a jet turbine. Piston-engine helicopters are slower, smaller and generally have a shorter range, but are the least expensive. The popular, entry level Robinson R44 – capable of carrying a pilot and three passengers – costs from $375,000 new, with used examples being available from $250,000. 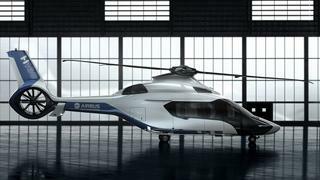 A more exotic jet turbine aircraft, such as what used to be known as the Eurocopter EC120 and is now the Airbus H120 (pilot and five passengers) will set you back about €2.5 million and an H130 (pilot and six passengers) €3.5 million-plus. These single-engine helicopters can be flown only during daylight (in UK airspace) under the Civil Aviation Authority’s Visual Flight Rules (VFR) as only appropriately equipped twin-engine helicopters are allowed to fly after dark under Instrument Flight Rules (IFR). 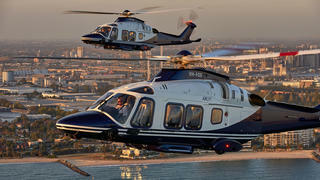 For more guidance consult our edit of the best helicopters for your superyacht. In addition to buying your dream machine, you’ll also need to pay for hangarage, insurance (typically three per cent of the value of the aircraft) and maintenance – regulations concerning which are extremely rigorous, especially for helicopters used in corrosive environments, such as on, over or near the sea. But if you can shoulder the burden of that little lot, you’ll be rewarded with an unmatched level of flying freedom that allows private helicopter pilots to land anywhere, with the landowner’s permission, provided it is safe to do so – including the helipads of friendly superyacht owners. Can your heli-pilot do this?